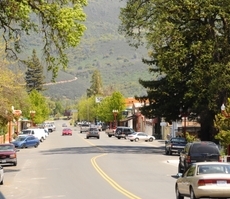 For those seeking to distance themselves from the bustle of California’s major urban areas, the far north California counties of Butte, Glenn, Shasta, Tehama, and Trinity offer a vast swath of scenic landscape with communities spread across more than 12,000 square miles. This seclusion however doesn’t provide immunity from social, health, and safety problems including the impact of domestic violence. Two problems stand out as a growing crisis: adverse child experiences (ACE) scores that are significantly higher than the state average and domestic violence rates nearly twice that of the state. 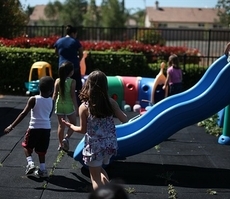 Northern California has some of the highest rates in childhood exposure to domestic violence. The region also has higher than the state’s average of reported maltreatment of children. In Shasta County, in 2014, the rate of child maltreatment for babies under the age of one was more than double the state rate and equates to almost one in every twenty Shasta County infants, according to the county’s Health and Human Services Agency statistics. 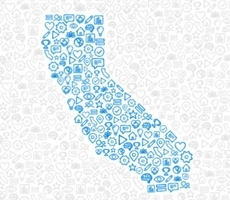 Experts at the Public Health Institute, a California-based nonprofit that manages hundreds of state and national projects has, through their Population Health Innovation Lab (PHIL), identified the connection between the region’s rise in domestic violence rates, and high rates of adverse childhood experiences. Verbal, physical, and sexual abuse are among several child experiences that have been linked to known risk factors for chronic disease, and mental and physical health issues. “There was a clear relationship between adverse childhood experiences and domestic violence rates,” said Lisa Tadlock, Program Manager for the Institute. Tadlock is spearheading the organization’s ACE Collaborative, a partnership between various north county institutions intent on developing policy and systems changes that are designed to reduce domestic violence and adverse childhood experiences. PHIL will provide the framework for the project, analyzing and identifying ways in which systems can be altered to help change the course for those suffering from abuse. Among the participating entities in the ACE Collaborative are Butte, Tehama and Trinity county’s First 5 organizations and partners that promote early childhood development. Also committed to join the project are the Health and Human Services agencies of Glenn. Shasta, and Trinity counties among other education and health policy institutions, but Tadlock noted that the partnerships won’t stop there. “Through this collaborative we want to reach beyond public health, First 5s and education institutions, we also want connect with probation; people from the justice system, mental health, behavioral health, and health plans” said Tadlock. 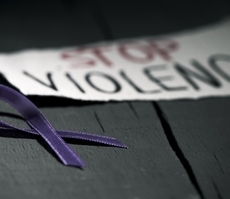 Such a diverse approach takes into account the many and diverse risk factors that contribute to domestic violence, as well as the challenges unique to the region. Last year the Camp, Carr, and Ranch fires, the largest wildfires in California history, ravaged the north counties, destroying thousands of homes. According to Tadlock, there are 25,000 residents displaced in Butte County alone, putting immense pressure on the region’s economic and social services and exacerbating an already acute housing shortage. Because of such widespread displacement, with little permanent housing to go around, Tadlock says that residents often stay mobile, cross county lines to seek services. A series of wildfires has disrupted Northern California communities making domestic-violence prevention and intervention more difficult. The ACE Collaborative’s focus on working with early childhood development advocates such as First 5s to address root causes of domestic violence is reflected in a recently released study by the Blue Shield Foundation, Breaking the Cycle: A Life Course Framework for Preventing Domestic Violence. The study documents how children, when exposed to violence in the family can lead to the perpetration of domestic violence in adulthood. The study also underscores that cultural and structural factors like poverty, and high unemployment rates can contribute to domestic violence perpetration. Shasta County alone has higher than average poverty levels, unemployment rates, and lack of access to childcare compared to other state regions, according to county statistics. But recent developments indicate a greater awareness and commitment to tackling the systemic issues that lead to domestic violence, according to Tadlock. She points out that Gov. Gavin Newsom’s recent appointment of Dr. Nadine Burke Harris, as the state’s first surgeon general as a particularly important and encouraging choice. Burke Harris is a pediatrician and noted pioneer in the study of ACEs. She is also encouraged by the prospect that these various rural regions, when pulling their resources together, can make an impact in unexpected ways.